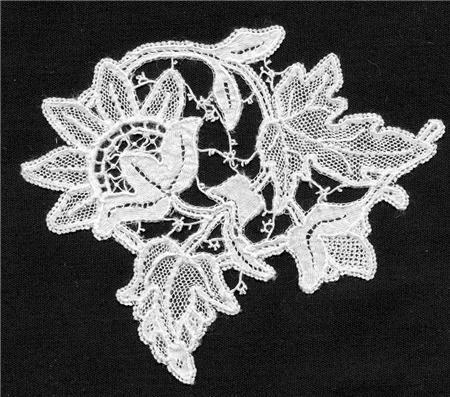 Kenmare needlepoint lace handmade for The Kenmare Lace and Design Centre by Rachel McClaren from a design handpainted by the Poor Clare nuns in Kenmare in the 1880's.Approximatly 2.6x3.2ins. (9.5x6.8cm) Unique, one piece only in stock. 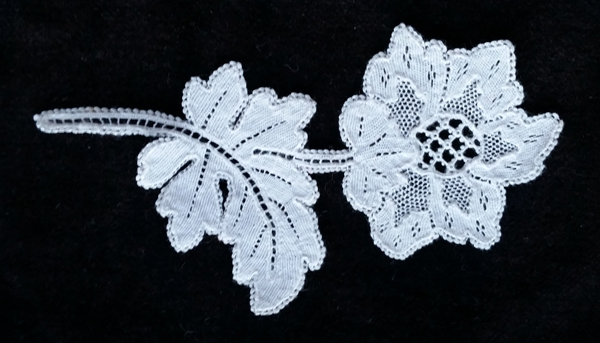 Share your lace stories and images with us!